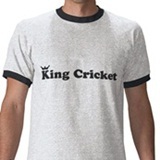 If you’re going to get out LBW, get out LBW in style. 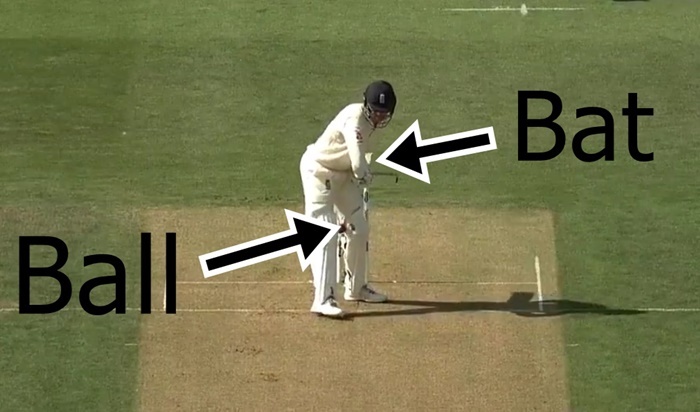 Here’s Keaton Jennings’ four-step guide to doing so. There’s basically nothing left as an England fan other than to become a connoisseur of missed catches. 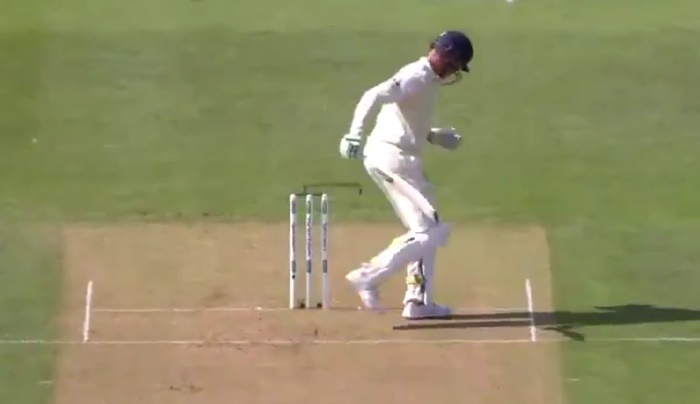 Keaton Jennings failing to make meaningful use of his own hands when Virat Kohli edged the ball to him on 93 was one of the greatest misses we’ve ever seen. There are three main reasons why. We’ll expand on these in a second. Jimmy has been particularly keen to dismiss Virat Kohli and has beaten or found the edge of the India captain’s bat – ooh, it’s hard to say exactly, but it must be somewhere around 6,000 times. Precisely none of these deliveries have resulted in a dismissal. 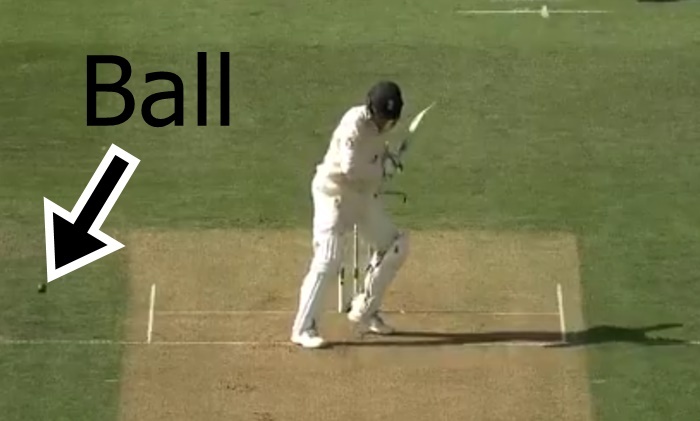 This is why when he again found the edge and the ball again went straight at a fielder and it again didn’t result in a dismissal, Jimmy did this. While he was still doing this – still bent over, head in hands – he suddenly went all tense and his whole body shook as he unleashed a bestial roar. This is a 100 per cent correct reaction and Jimmy has our every sympathy. 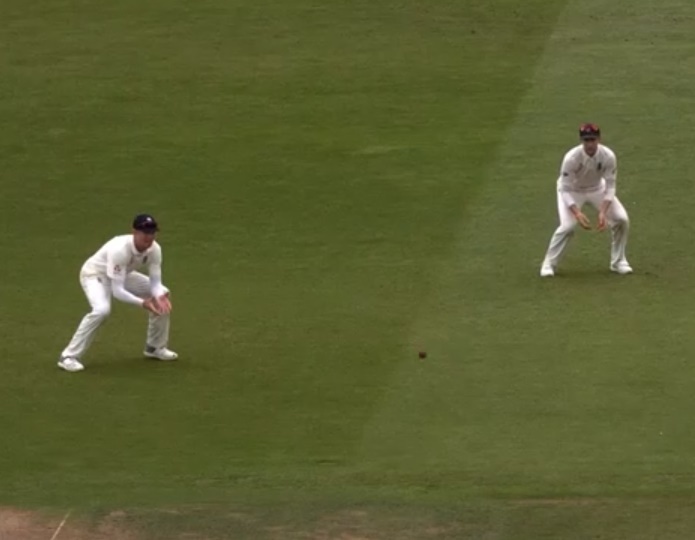 On first viewing we reckoned that Keaton Jennings would have needed to move his hands by about three inches to have successfully taken the catch. We were wrong. There are no deflections there. Virat Kohli edged the ball directly at Keaton Jennings’ cupped hands. 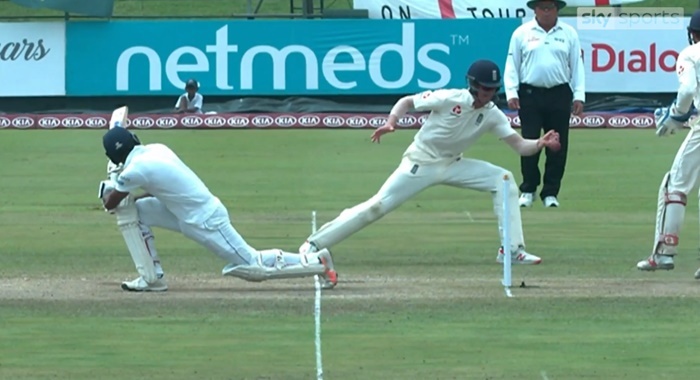 Had Joe Root been armed with a blowpipe and shot a paralysis dart into his opener’s neck to instantly freeze him, there is a reasonable chance the catch would have been taken. However, this is not what happened. What happened in reality is far more entertaining. 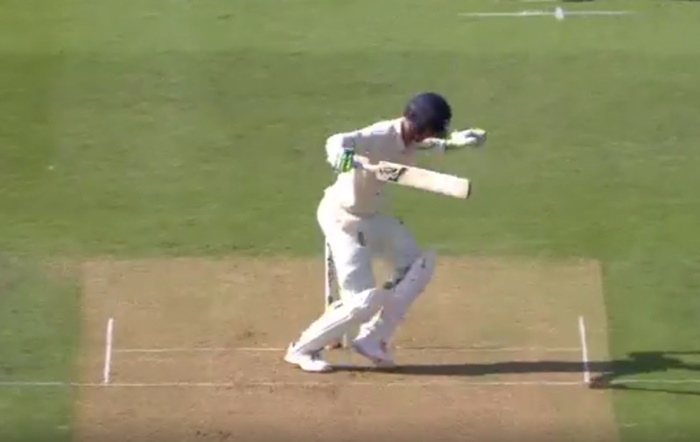 What happened was that Keaton Jennings ducked his hands down a few inches to actively evade the ball. The ball made contact with absolutely nothing. Look at those images above and try and envisage a scenario where ball doesn’t strike hand, arm, knee or testicle. It’s almost impossible, isn’t it? But this is what happened next. It was as if Jennings were some kind of formless sprite, unable to interact with solid objects within this earthly realm. The ball approached and then it just continued on its way at exactly the same speed having passed directly through him. We saw a thing the other day where they said that in terms of accuracy, bowling a couple of feet fuller or shorter is like the difference between a darts player hitting the top or bottom of the bullseye. Darts players release their projectile from in front of their eyes having adopted a firm, stationary position. 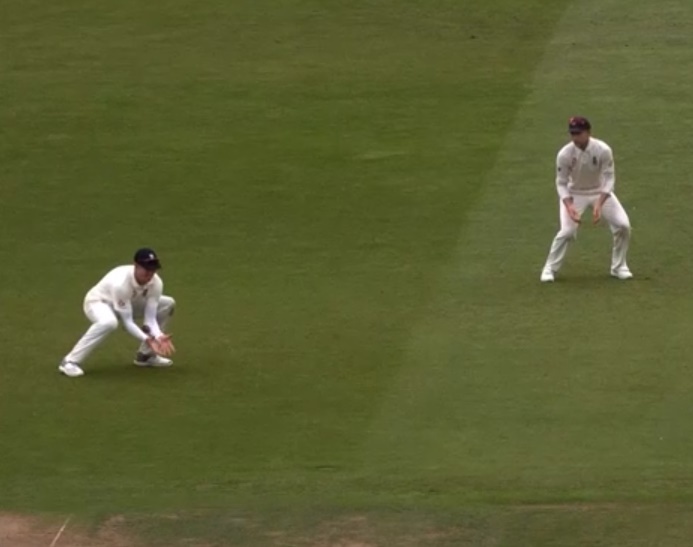 Jimmy Anderson releases the ball from some way above his head, having sprinted in and done a weird twisting jump; he does it with fingertip precision so that the ball swings; and he does it time and time and time again, even when he’s absolutely knackered. 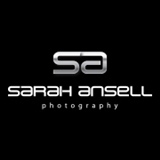 Most of the time nothing whatsoever comes of this effort – but sometimes it does. Sometimes the ball catches the edge of the bat, travels in the air and in the direction of a fielder. At this point, Jimmy Anderson has done all he can. The outcome of this delivery is now wholly down to someone else’s involvement and he just has to hope that they catch it. Imagine that the above happens. Imagine that the umpire signals four runs. 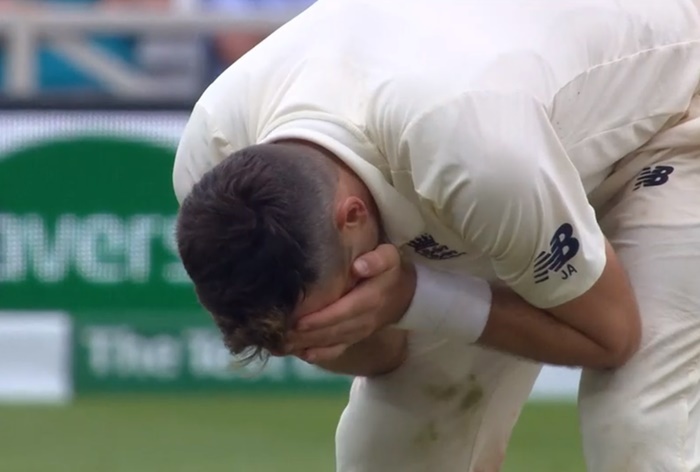 Take another look at Jimmy Anderson screaming into his palms. Keaton Jennings will make his Test debut against India and if there’s one aspect of this news that everyone’s talking about, it’s the fact that the Durham opener has two surnames and no first name. England are not unaware of this and they will no doubt harbour concerns about the balance of the side. The team, as it stands, now contains a surname surplus and a first name shortfall with no immediate solution available. Long-term, England will no doubt be looking to Jason Roy to fill the void. An enforced name-swap so as to field a Jason Keaton and a Roy Jennings seems unlikely. More likely management will simply be content to weigh all the team’s first names against all of the surnames, dealing with them en masse. Earlier this year, we suggested that Keaton Jennings would have been One To Watch if we still did that kind of thing. Those who took our implicit advice and opted to track his progress anyway will doubtless feel well-informed about his rise to the England team. Others will just have to trawl through the county cricket category on this website, noting that each time he scored a hundred, we said that he’d scored a hundred. We don’t believe Jason Roy earned any mentions from us for his County Championship returns this season. This opens up the distinct possibility that England could be profoundly unbalanced for an extended period. We could wait until the end of the day’s play before giving the latest round of County Championship matches a mid-point once-over, but why wait? Whatever we write will be out of date soon enough anyway. Might as well allow it to become so almost instantly. Let’s start with the most impressive performance so far, which came about in the least important fixture. Fourth and fifth in the table respectively, Surrey and Durham probably aren’t playing for much of any consequence. Keaton Jennings did however score an unbeaten double hundred against an attack comprising a right-arm swing bowler, a left-arm swing bowler, a right-arm fast bowler, a left-arm fast bowler, a right-arm finger spinner and a left-arm finger spinner. Even if it weren’t his seventh hundred of the season, that would be a lot of boxes ticked. He is averaging 72. In the first division. As an opener. We’re, what, 15 miles from Old Trafford and there hasn’t been a spot of rain, which rather underlines the fact that Middlesex must be dragging their own clouds round with them. In all honesty, half the time it’s not been rain but humidity which has derailed play. There’s so much moisture in the air, it’s actually become too thick for light to penetrate. On the occasions when the two teams have made it out to the middle, Lancashire have been doing their utmost to be accommodating hosts, shedding their wickets as if it were 2014 or 2015 – or indeed any year in the previous decade. The best team in the land is doing a damn fine impression of the worst and Somerset are starting to believe that they could once again be narrowly denied the County Championship by a ridiculously slim margin right at the very death. Yorkshire are still a hundred and plenty behind with – at the time of writing, but almost certainly not when you are reading this – seven wickets remaining. It means there are two days to go in these matches and we should probably try and avoid thinking about the permutations until after they’ve finished.